Now showing University of Montana games for over 20 years! Torrey Pines Pub is as close to actually being at the game as you can get. Torrey Pines Pub offers Weekly 4 of a kind Drawings, Tons of CASH giveaways and a Players Cash Card that rewards our valued customers more than any other card in Vegas! Located on the corner of Torrey Pines and Lake Mead Blvd. Torrey Pines Pub has been serving the neighborhood since 1991. Whether you’re looking for a cold drink on a hot day, having a good time with some friends, a delicious hot meal or a place to try out a “hot hand” when you’re feeling lucky… Torrey Pines Pub has what you’re looking for. 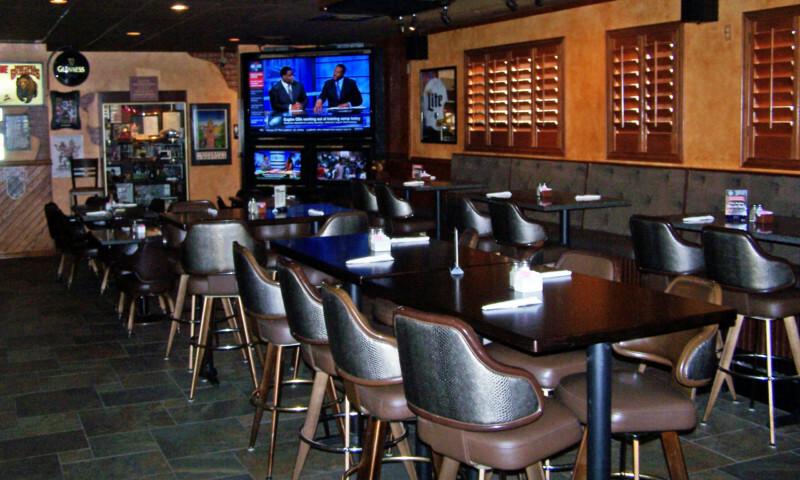 Hosting pool teams, trivia teams and more… Torrey Pines Pub is your place for a good time. Everyday low prices and great service stand us apart. Looking to watch your favorite games? Torrey Pines Pub caters to sports fans and hosts the Montana Grizzlies every football season. Coming Fall 2016, we will be the newest Philadelphia Eagles bar in Northwest Las Vegas. Always remember at Torrey Pines Pub… Expect to Win! We’re truly Grizzlyville, Las Vegas because of the fans! These pictures and more are taken every game and throughout the year. Whether you’re a local or visiting from out of town… make sure to stop by and say, “Hi!” We’ll do our best to make you feel right at home. Don’t forget to get your picture taken with Grizwald the bear. and take a shot, or 15! Having fun is what it’s all about… and sharing your good times with your friends can only make it better! If you haven’t had one yet, try the Shotbar today! Serving simultaneous shots for 3-15 of you and your friends make this a one of a kind experience. As an added bonus, receive 10% off the price of your shots when you take any Shotbar! Come see one of our bartenders for details. Mon. – Fri. 3pm-7pm No coupon needed!